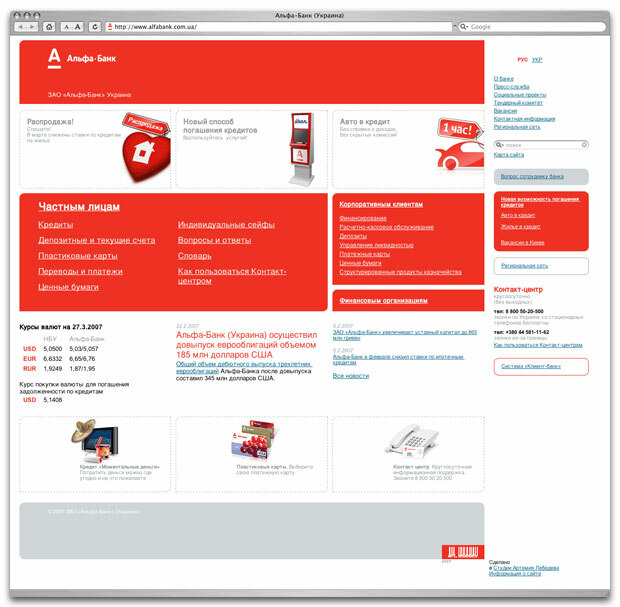 Problem: Bring the Ukrainian site into line with Alfa Banks new corporate identity. Alfa Bank (Ukraine) is the financial arm of the Alfa Group consortium in Ukraine. Alfa Bank (Ukraine) was registered in January 2001. In Ukraine the bank operates in all key segments of the banking sector.